2014 Kawasaki 1400 GTR. Picture credits - Kawasaki. Submit more pictures. To ensure that the GTR�s massive torque is transmitted to the tarmac as efficiently as possible, a highly rigid, dual-sided, 4-link swingarm is used. Called the Tetra-Lever, it is designed to offset the lifting or squatting tendency of shaft drives when the throttle is opened and closed. 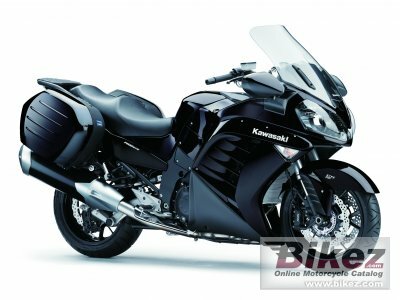 Ask questions Join the 14 Kawasaki 1400 GTR discussion group or the general Kawasaki discussion group.